Alas, even as Trump talks about scaling back the U.S. military footprint abroad, his willingness to follow the State Department’s lead in Somalia threatens to embolden radicalism and revive piracy in the Horn of Africa. At issue is Somalia, where the State Department’s embrace of false unities and antipathy toward change has led it to double down on its support for Somalia’s symbolic government in Mogadishu. At first glance, Trump’s cynicism looks warranted. After years of civil war, Somalia has a provisional constitution and a government. Elders have appointed a parliament, which in turn has elected a president. But the federal government’s control is largely illusionary. Most diplomats and non-governmental organizations are sequestered inside the international airport, which makes Baghdad’s old Green Zone look permissive. The African Union Mission in Somalia (AMISOM), encompassing troops from five African countries and police from an additional three, provides basic security. The president holds little sway outside his palace and a few square blocks around his palace, while Al-Shabaab, a terrorist group affiliated with Al Qaeda, continues to strike in the city and across the country. Fictions are expensive. The United Nations and aid organizations are seeking upwards of $1 billion in aid this year just to provide immediate relief, and that figure is even greater when the price tag for AMISOM is factored in. Much of the aid, however, never reaches Somalis; Transparency International now ranks Somalia as the world’s most corrupt country. Rather than help Somalis, donations to Mogadishu often fuel factional fighting and drive Somalis into the arms of radicals and yet, despite his promise to turn Washington’s old ways on their head, the Trump administration policy in effect remains to throw good money after bad. In effect, Somalia has joined Pakistan and Egypt in an extortion racket whereby it demands endless aid to fight radicalism, but never defeats it for fear of losing an annual windfall which elites siphon for personal interests. Not all of Somalia, however, embraces this cycle. As Somalia descended into civil war in 1991, Somaliland, ground zero for Somali dictator Siad Barre’s reign of terror, declared itself independent. Its claim was solid: during the colonial era, it was a British protectorate, distinct from the rest of Somalia, with internationally-recognized borders. All five UN Security Council members recognized its 1960 independence. To Somalilanders, its subsequent union with Somalia was voluntary, as was its exit against the backdrop of Somalia’s descent into chaos. Residents of the region also point out that the State Department’s traditional antipathy toward border changes rings hollow given Washington’s, the African Union’s and the broader international community’s recognition of South Sudan and Eritrea. True, neither of these countries is a success, but Somaliland already promises to be. Today, Somaliland includes twenty-eight percent of Somalia’s area and one-third of its population. 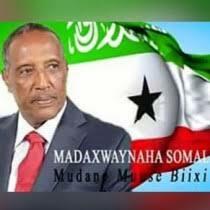 Unlike Somalia proper, Somaliland has denied Al-Shabaab access to its territory. Hargeisa, its capital, is among the safest cities in Africa. Somaliland has contested elections , secured via biometric iris scans , and has had five peaceful transfers of power amongst rival parties. While Somaliland has its own currency, its economy is increasingly cashless : organic innovation and permeation of cell phones has allowed even its rural citizens simply to trade digital money by cell phone. Americans might still think “Black Hawk Down” when they think of Somalia, but Somaliland has become more like Sweden and Estonia in its e-practices. In effect, Somaliland does everything right. So why does the United States ignore it? In the era of budget cutbacks, the State Department refuses to even put an office in Hargeisa akin to what it has in Iraqi Kurdistan or Taiwan. The Pentagon, for its part, has no regular liaison with their Somalilander counterparts, even though both counterterrorism missions and the war in Yemen enhance Somaliland’s strategic importance. Here’s the problem: Somaliland’s ability to stand up to radicals and Al Qaeda-affiliated terrorists may not be endless. Somaliland spends one-third its budget on security, but Somalia refuses to provide it with any international funds channeled through Mogadishu. The situation is now so dire that Somaliland’s army and coast guard recruits must purchase their own guns in order to conduct the patrols which stabilize its 460-mile coastline, prevent weapons smuggling from Yemen, and deny Al-Shabaab access to its vast rural areas. While the UN has eased its arms embargo on Somalia in order to allow AMISOM to operate and to supply Somali government forces (who more often than not sell their weapons to the radicals for some quick cash), it continues to enforce an arms embargo on Somaliland that is an artifact of the situation in Somalia three decades ago. Trump and National Security Advisor John Bolton are right to question foreign aid. Sponsoring parades in Bulgaria or art workshops in Central America have limited utility. But, every million dollars invested in Somaliland’s security could offset defense needs with a price tag several orders of magnitude higher. 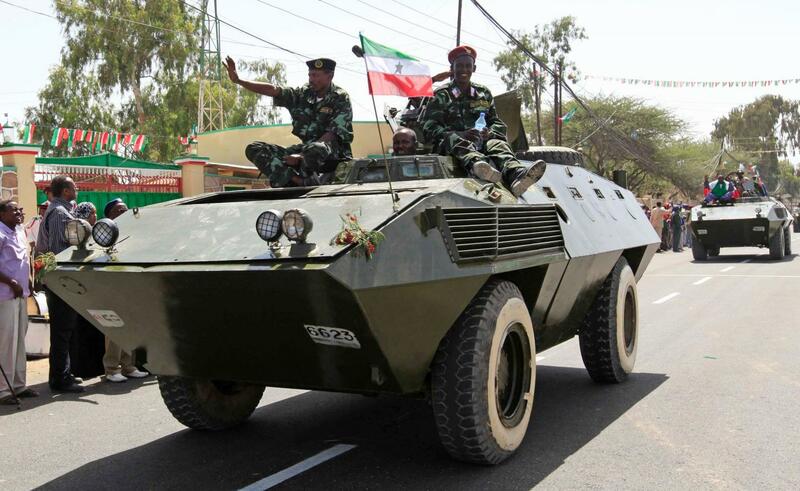 Somaliland seeks not tanks and modern fighter jets, but simply small arms and more patrol boats. The region’s willingness to invest more than fifteen-times proportionately what America’s NATO allies do in defense shows it is serious and not simply seeking subsidy for what it could otherwise achieve on its own. Somalia’s government might complain, but Washington need not kneel to Mogadishu. If Trump truly wants to end endless wars and American engagements abroad, perhaps it is time to embrace rather than ignore allies, bolster democracies and recognize that even at the height of its greatness, America has never truly gone it alone.